Unique items for that Extra Special Christmas Gift!. We have added some unique leather items, ideal for that extra special Christmas gift. For more information please follow this link: More . . . 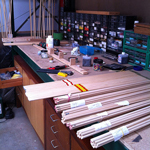 The Making of a Longbow - a study of a Master Bowyer. Here is a recent article from the Wood Workers Institute magazine exploring the early history of England has been written with ‘oak gall and arrow’. 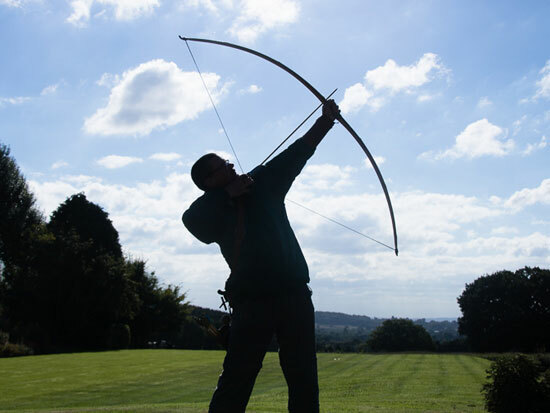 In a much more peaceful way Marc Grady, Master Bowyer is still keeping the traditional skill of longbow making alive. More . . . Please see our GDPR statement regarding how we manage and use your data here. More . . .
Mel Townsend – Leather worker. Mel is an experienced and talented leather work craftsman who creates exquisite quivers, bracers, belts and pouches for our customers. 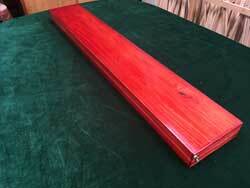 He can work to our existing designs or any bespoke request. Marc is extremely pleased to have Mel onboard to help with the leather workload and actually rates Mel’s hand stitching above his own! Please contact Marc as normal to discuss your requirements. New for 2018 – Victorian style wooden arrow boxes. 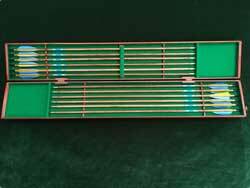 Beautiful felt lined wooden arrow boxes housing 12 arrows. £140.00. 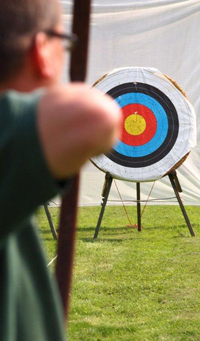 English Archery Federation - English Longbow Championship 2018. We recently featured on the Herefordshire Live website. If you'd like to read this most informative article please follow this link. We are also delighted to showcase some of the images from this article in the slide-show on the Home Page. 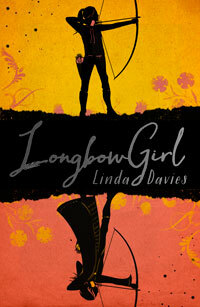 A good friend of mine and terrific author, Linda Davies has created a rollicking young adult novel called ‘Longbow Girl’. 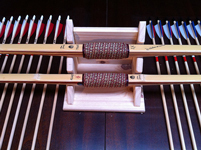 Check it out at http://www.longbowgirl.com/. 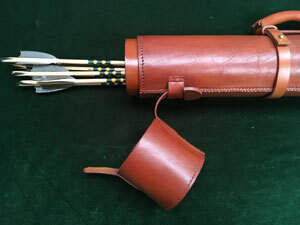 See our new collection of images of beautiful Bows, Arrows & Leatherwork made for our customers by visiting our new Gallery Page. We Are Busy - Sorry for any Delays! Marc Grady our Master Bowyer, fletcher and leatherworker is extremely busy with customer orders at the moment and apologises for any delays. All our workshop items are unique and made to customer requirements and so can take a bit of time particularly if we are busy. Clothing, arrow making components and general accessories will generally be dispatched within a day of receiving the order - stocks permitting. Experiences are available at £25 per person per hour, with a maximum of four people participating in one session. Please ring to check available dates and times. Experience Gift Vouchers available for the perfect present.